Miniature Schnauzers etc. 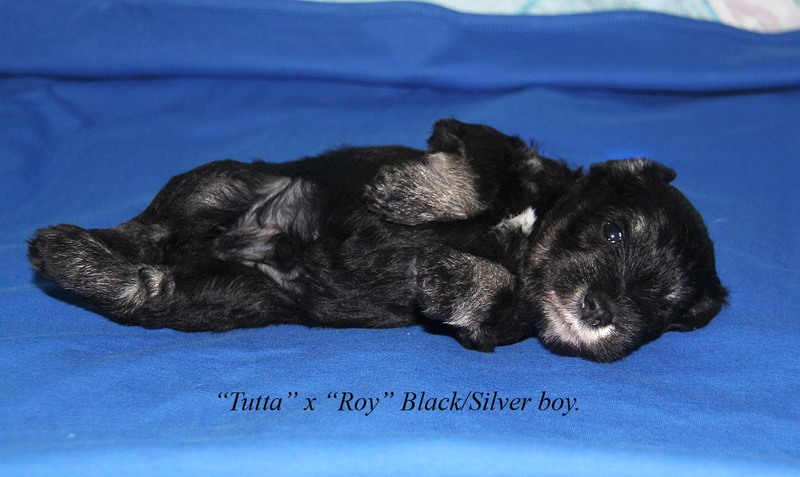 : Tutta's litter is 3 weeks old! Time is flying fast!... 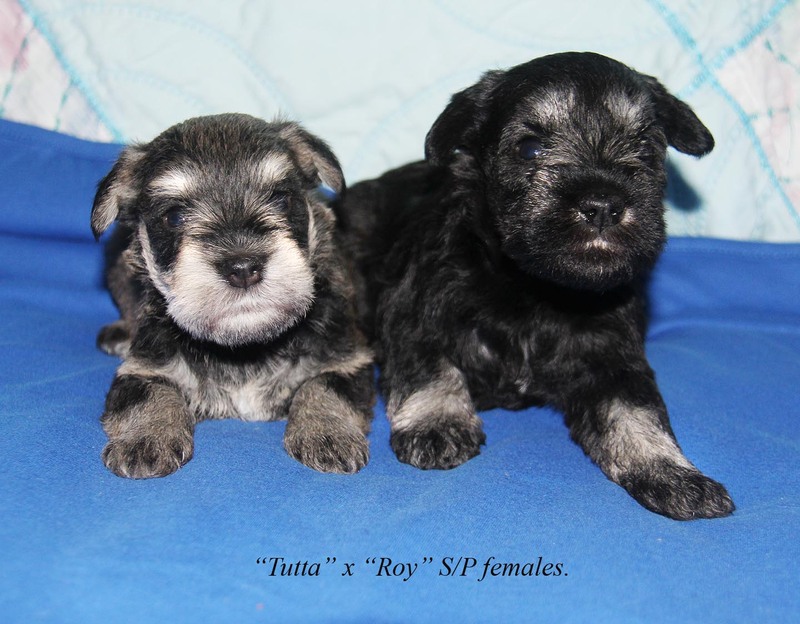 Tutta's little guys are 3 weeks old by now and have their eyes wide open. Still - their thee ONLY activity is a 'Milk bar"!